somebody will get a good enough photograph. Maybe it’s down to an era in which I cut my teeth in birding, but I have always been a fan of the written word when it comes to descriptions, throwing in the odd sketch where appropriate. Nowadays, the importance of the field sketch has, to large extent, been negated by the advent of digital cameras (although I still think sketches are useful). Not everyone has a camera – nor can everyone turn in a Killian Mullarney masterpiece – but everyone can write a description of what they saw. Leaving it to others, or going down the “mass observer” route is, of course, a matter for the individual, but I suspect that there are a few observers out there who have found a really rare bird and get more than a little irritated when the record doesn’t appear in the local or national archive. And, that’s partly where the problem lies. All such records of what are, after all, a tiny minority of what’s seen every year in the UK, require a description in order to be accepted as documented evidence within an area’s avifauna. To effect this, you must submit to the judgement of a panel of so-called experts. 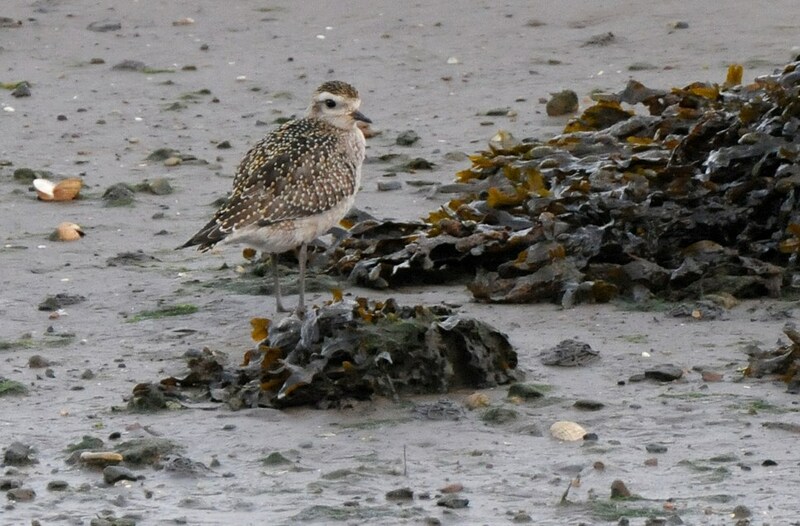 Not everyone likes this idea, comments ranging from “I know fine how to identify a bl*o*y American Golden Plover” to “Who are this bunch of eejits anyway?” All well and good, but records (if submitted) have to assessed somehow. All right, if you don’t like the idea of an assessment panel, why not become an active member of it? “Oh, I’ve got too much to do (washing my hair that week, and similar excuses).” Nonetheless, record assessment panels have to draw conclusions on what evidence is submitted and, as far as is possible, they do so in a democratic fashion. Conspiracy theorists will no doubt harbour their own thoughts on why records are rejected, and the system for assessment will always contain a certain amount of subjectivity, but it is about as fair as is possible. Anyway, I know that some observers baulk at the notion of writing up descriptions: indeed some are not at all confident in doing it. That really shouldn’t stand in the way of an honest submission though. So, what should you include? Let’s take the Maidens American Golden Plover as an example. 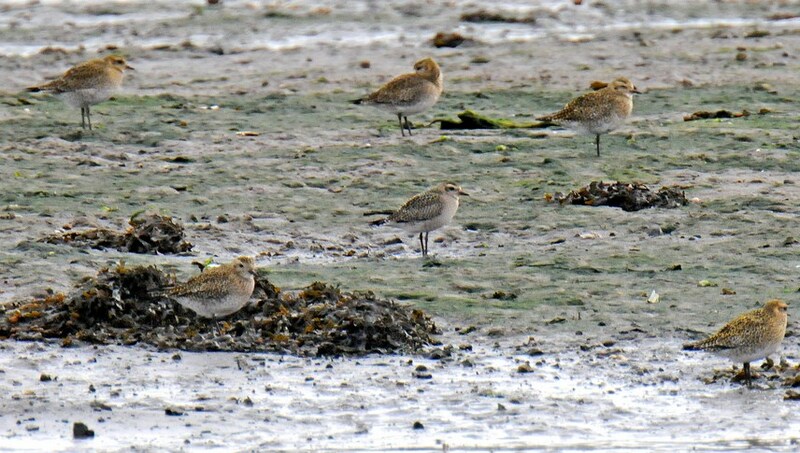 I first caught sight of the bird as it circled slowly, with a flock of European Golden Plovers, at Maidens on the morning of 17th October. As the flock wheeled around in bright sunlight, there was one bird which appeared slightly slimmer and longer winged compared to the others. Moreover, it looked like it had plain grey underwings, compared to the gleaming white underwings of the “Goldies.” I entertained the idea at this point that this could be an American Golden Plover, but this kind of sighting would clearly be insufficient for submission as such – it could just be a “small” European Golden Plover, and bright sunlight does amazing things to your perception of underwing tones! After 20 frustrating minutes, the first group of 10 birds landed and I managed to get a good look at the “suspect” bird. A slim, long-winged bird (c.f. European Golden Plover) – 3 or 4 primaries extending beyond the tail tip. Largely greyish body tones, with very little of the golden/yellowish tones of EGP. A striking head pattern with a whitish forehead and clear whitish supercilium. A clearly “capped” appearance, with an almost black crown. A pale greyish breast band which had a fairly clean demarcation between it and a white belly. Additional features which could be added from the extensive flight views would have included a weak whitish wing bar and pale, grey axillaries. It might have been useful to have heard it call, but there was sufficient here to scribble down a few notes (or, as I’ve been doing for years, put these details on to my voice recorder. This has the advantage of not having to take your eyes off the bird as you note the details). What you decide to do about writing up a description is up to you, but simplicity can often be the key. There is no need to over-embellish the text since the main thing is to set out clearly just why you thought it was a certain species. After writing up your description, it’s a good idea to hold on to it until you’re sure the bird has gone from the area. In this case, one, fairly useful piece of additional information was obtained – the call. 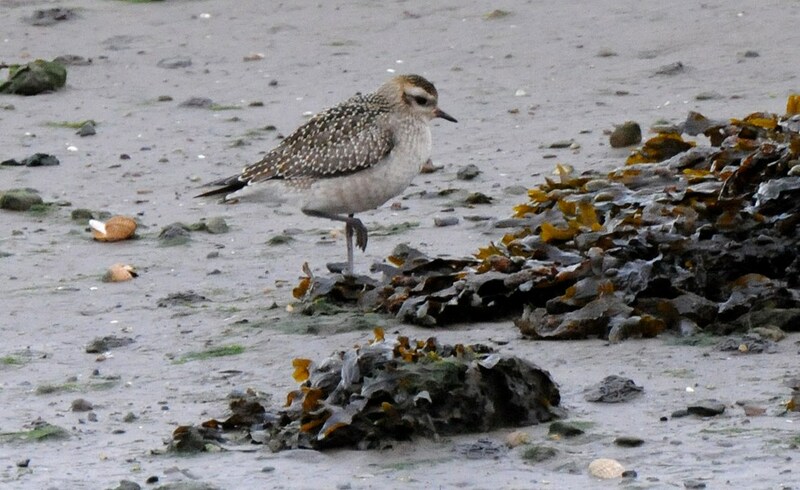 This usually stands out clearly from European Golden Plover: a short, shrill, whistled “kleeee – ih” with the second part just audible (Transcriptions of calls can be a nightmare for some, but still helpful if you can put them on paper). Photographs of the bird were obtained on 1st and 3rd November – all adding to the complete picture. In addition, many observers were lucky enough to see this bird before it departed, which can be helpful for corroboration. So, whatever your attitude is to writing up descriptions, can I encourage you to give it some thought – if nothing else, it can make the local recorder’s life a lot easier! This entry was posted in Articles on 06-Dec-2014 .